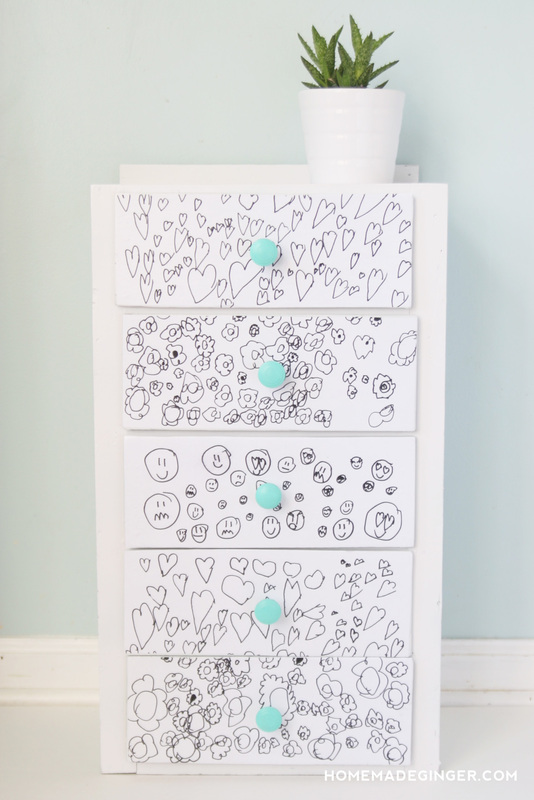 Use your kids' artwork to re-do a furniture piece in this fun dresser makeover. 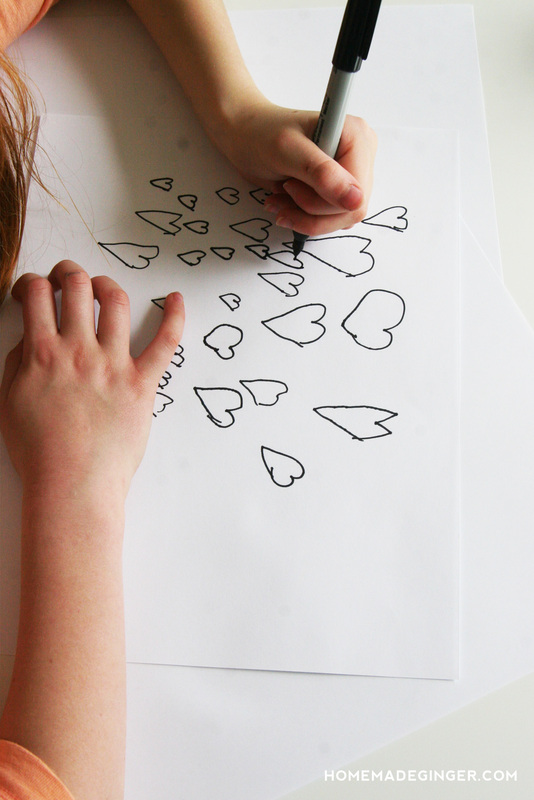 You'll love decoupaging as much as your children love the drawing! 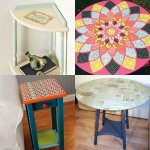 I love incorporating my children's artwork into home decor pieces that will last longer than a piece of paper. I've converted kid's art into embroidered dish towels, t-shirts and even painted canvases. This project is no different. When I was given an old small set of drawers, I knew just what to do with it to make it adorable! Since this little piece will be used to store my daughter's doll clothes, I decided to use some of her drawings to give it a makeover. 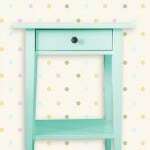 I just love how this dresser makeover turned out! First, I took my little set of drawers apart and gave it a good cleaning. 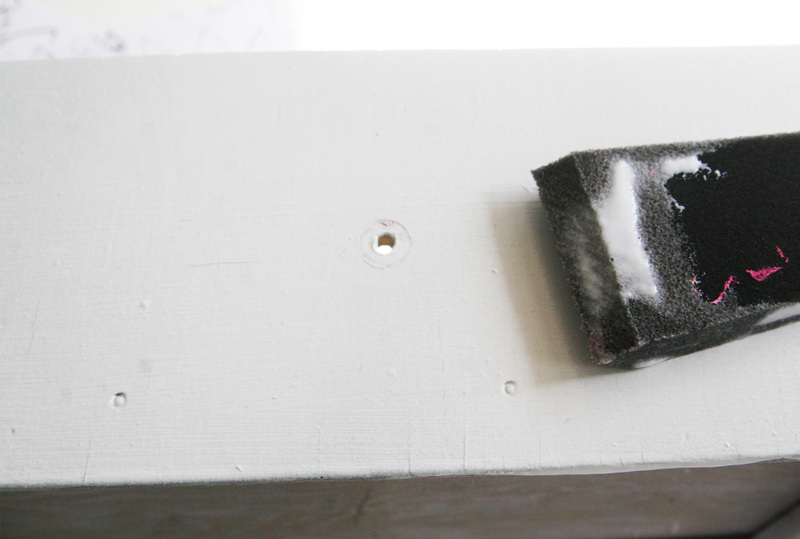 Then I used some satin white spray paint to make it a nice clean base for this project. Next, I put my daughter to work with a Sharpie. She created some patterns and designs on plain white paper. 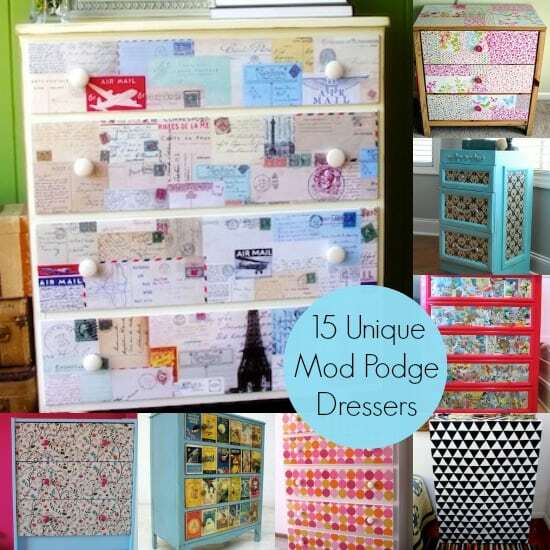 Brush on a thin layer of the Furniture Mod Podge to the area that you want the drawings to adhere. 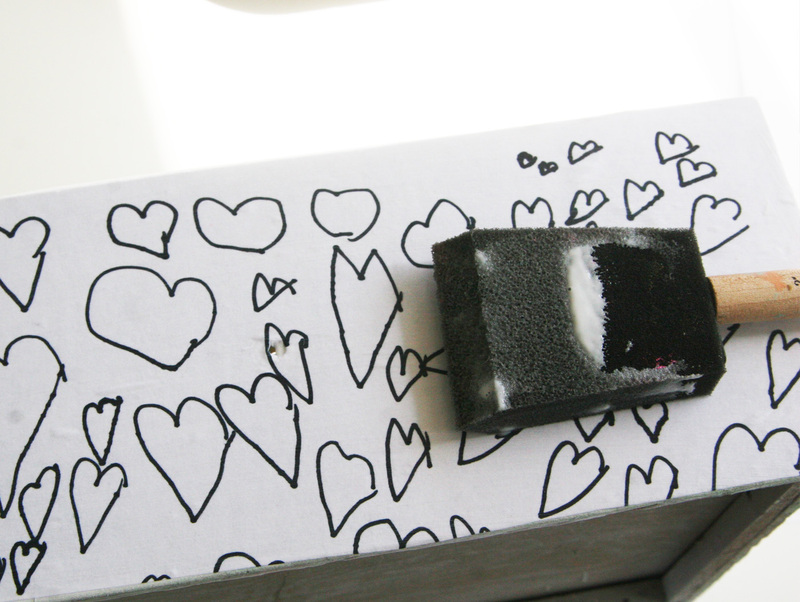 With paper that is cut to size, place it over the Mod Podge and smooth out any bubbles. 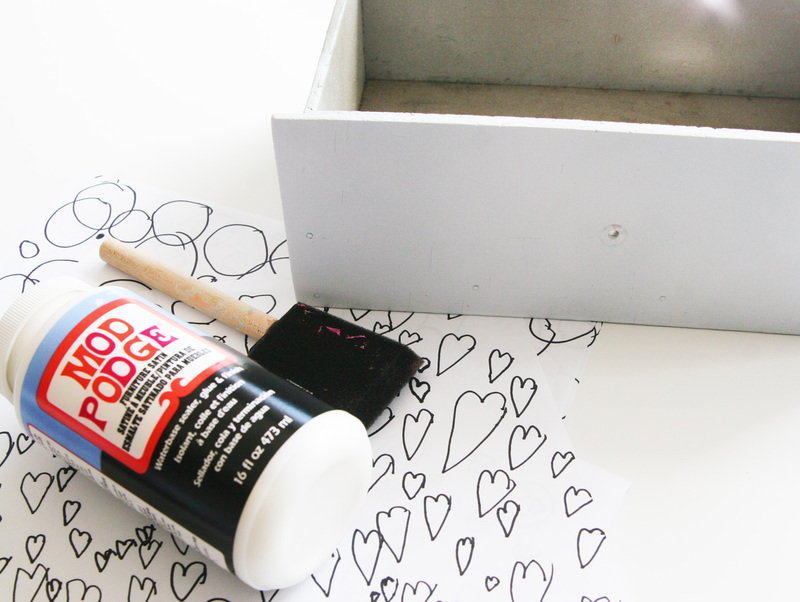 Cover the drawing paper with another layer of the Mod Podge. Allow it to dry and add another coat if desired. I felt like mine needed at least 2 coats for it to be super durable. 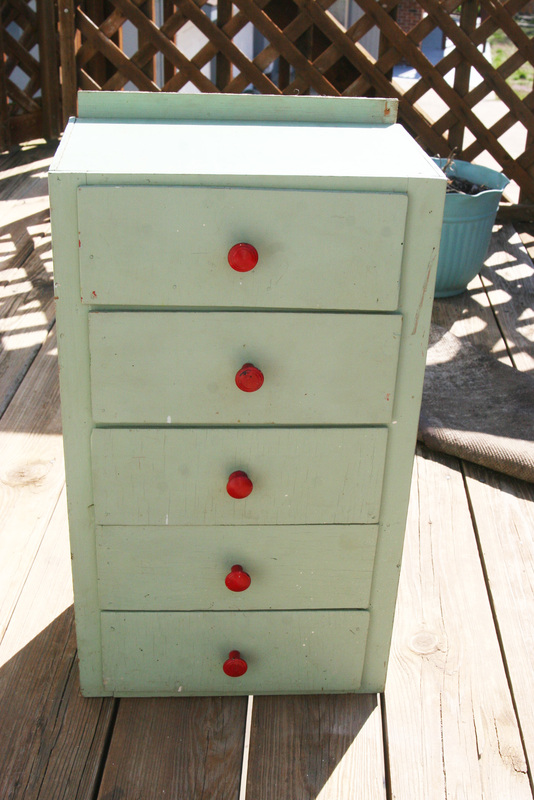 I gave the knobs a few coats of aqua paint and put it all together once everything was dry! 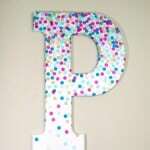 Now this piece that was once old and blah is fresh and new and perfect for my daughter's room! 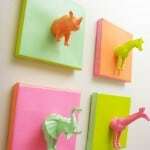 How cute would this same method be for a nightstand in a nursery or a bookshelf in a child's room? 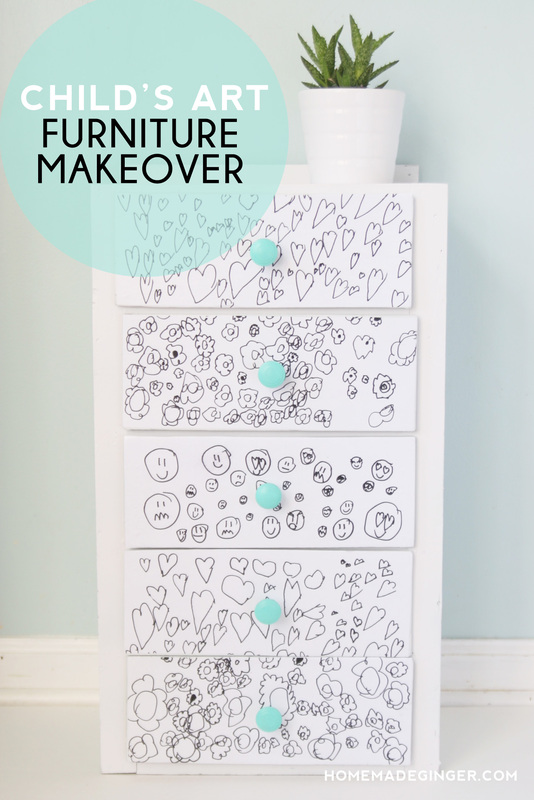 I'd love for you to try a dresser makeover and share it in the comments! Feel free to visit me over on my blog, Homemade Ginger where I share tons more crafty posts and tutorials. Awwww this is so sweet. I love things like this! What a fun project! And your daughter’s artwork is adorable, too! 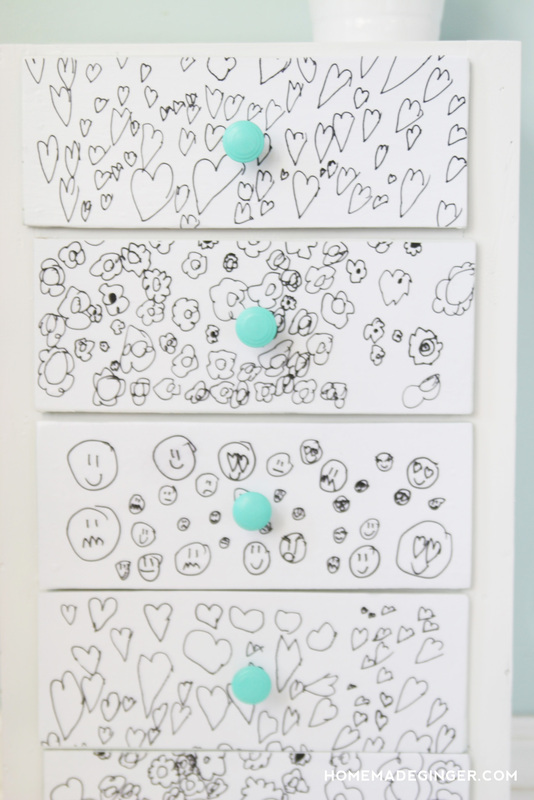 Terrific idea!Love that you used your daughter’s drawings! How special!